Ivy and Brumas were polar bears at London Zoo. Brumas was born 27 November 1949 and Ivy was her mother. Brumas was named after her keepers Bruce and Sam (whose name was reversed). Although Brumas was female, the press reported that the bear was a he so the public thought that the cub was male, a belief that is still widespread. Brumas was the first baby polar bear to be successfully reared in Britain and was an immediate attraction with the public. She caused such interest that, in 1950, the Zoo's annual attendance figures reached the 3 million mark. Brumas died on 17 May 1958. Both bears proved a popular merchandise resource and were celebrated in newsreels, books, postcards, toys and other souvenirs. 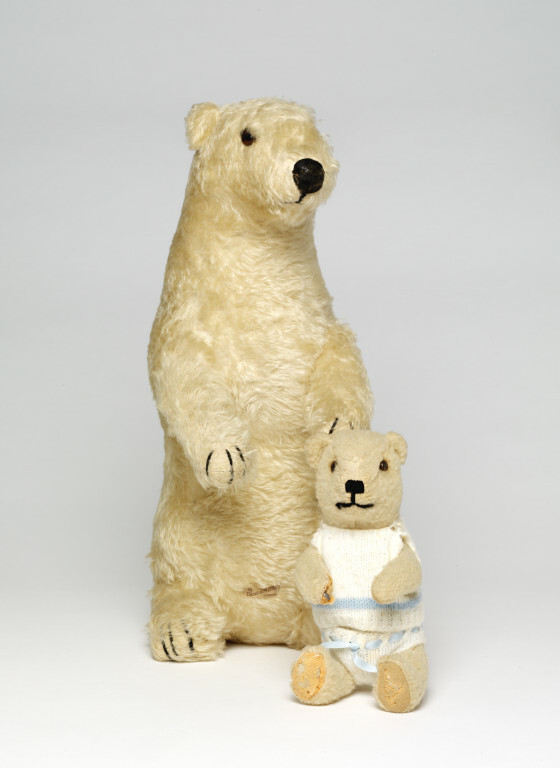 Dean's Rag Book Company were granted the licence to produce soft toy versions of the bears. 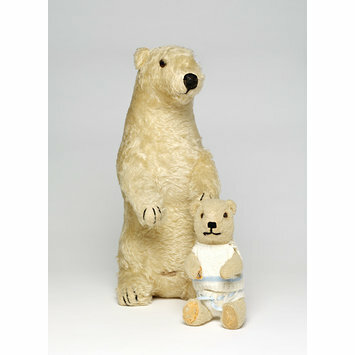 Soft toys, Ivy and Brumas polar bears, made by Dean's Rag Book Company, England, 1950-1955.